Current web application development requires highly qualified staff, dealing with an extensive number of architectures and technologies. When these applications incorporate semantic data, the list of skill requirements becomes even larger, leading to a high adoption barrier for the development of semantically enabled Web applications. This paper describes VPOET, a tool focused mainly on two types of users: web designers and web application developers. By using this tool, web designers do not need specific skills in semantic web technologies to create web templates to handle semantic data. Web application developers incorporate those templates into their web applications, by means of a simple mechanism based in HTTP messages. End-users can use these templates through a Google Gadget. As web designers play a key role in the system, an experimental evaluation has been conducted, showing that VPOET provides good usability features for a representative group of web designers in a wide range of competencies in client-side technologies, ranging from amateur HTML developers to professional web designers. Fortunata2 is a Java library built on top of the JSPWiki wiki engine. The main features of this engine are its support for the management of forms and its extensibility capabilities by means of plugins. Fortunata simplifies the creation of semantically-enabled web applications by delegating to the underlying wiki engine the client-side presentation and server-side publication of semantic data. The creation of pages is done with a wiki-based syntax, which has predefined constructs to create links, sortable tables, tables of contents, etc. 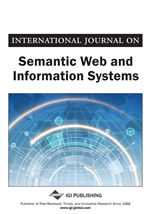 The publication of semantic data is done automatically by the system. A Fortunata-based application consists of a set of wiki pages that contain regular wiki code intertwined with calls to Fortunata plugins (F-plugins). For instance, VPOET is a Fortunata-based application that consists in four interrelated wiki pages and seven F-plugins. Figure 1 shows the architecture of VPOET and the roles involved. user1 VPOET Google Gadget end-user.